This area includes Belgravia, Pimlico, St James and Westminster. The Big Ben, the most touristic spot in London. 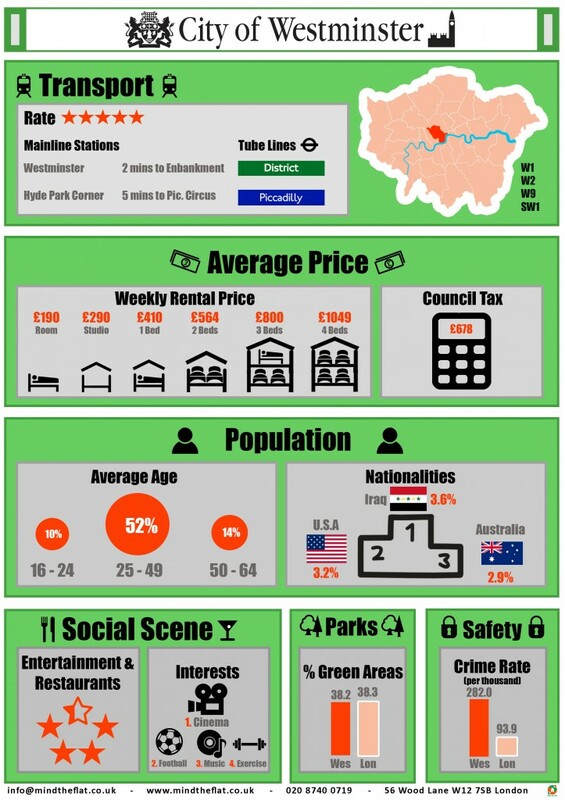 Great location: close by the “City of London”, the city’s financial spot. The area is served by the Victoria Line; however its central location means it’s extremely well connected. Sign up with Mind the Flat and find like-minded flatmates willing to share a property in this wealthy and peaceful area!